The role of the narrative is to outline the high-level ambitions for this strategically important area into a digestible and visual format, highlight progress with the development and raise the profile to investors. 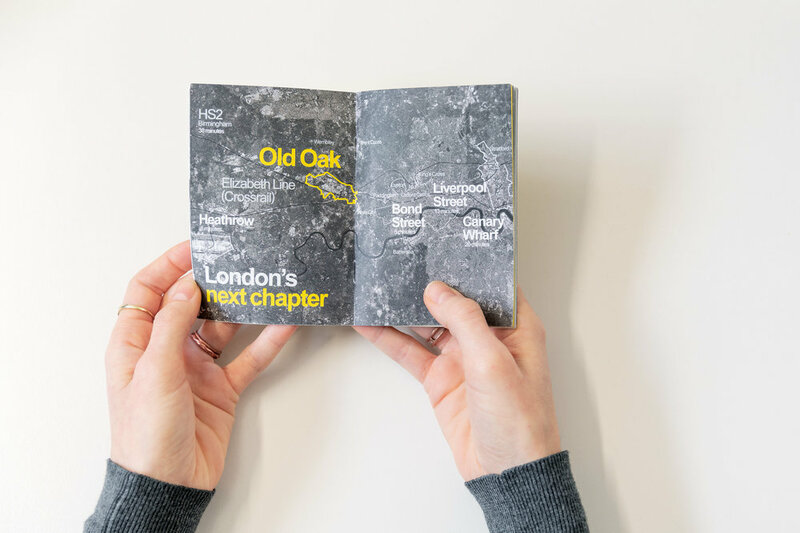 Prior + Partners has been working as part of an AECOM-led team to define a strategic narrative for the Old Oak development in north-west London. This provides a great example of where we have distilled key project ambitions into a graphically appealing concise prospectus, which was successfully distributed to potential investors at the 2018 MIPIM. Its vibrant graphics, enabled the document to stand out from thousands of promotional documentation and delivered an effective overview of the visioning process to date. The work underpinning the strategic narrative is now assisting the OPDC and the GLA in setting out its bid for money from the Housing Infrastructure Fund (HIF).